All Blissfully plans are fully featured and depend on your company size. "Now from day one, new hires are set up with everything they need. We used to do a lot of chasing peope around... and hope that by the end of the first week the new hire would get access to everything they needed." Blissfully stitches together data from G Suite, SSO (Okta, OneLogin, etc. ), and accounting tools (Quickbooks, Netsuite, Xero, etc.) 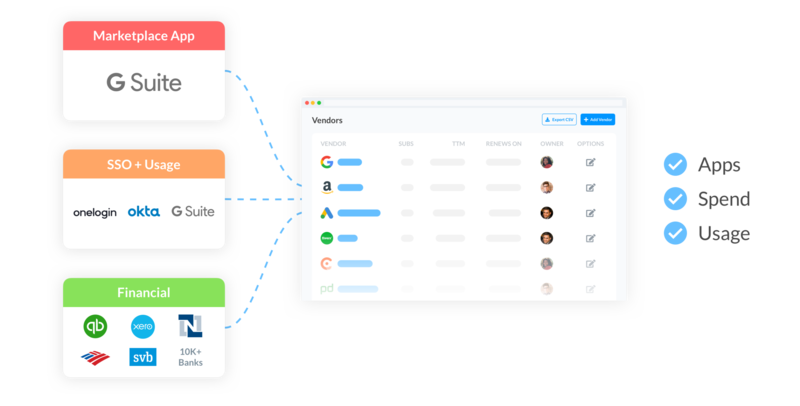 to provide a complete view into all the SaaS apps in use across your organization.